Company policies are the mortar to the bricks of your business. Without good policies businesses will crumble – it would be like a society without rules. Making sure that your policies are well written, clear and precise will help create a strong business. There is an art to policy writing which will ensure that everyone knows what to do and keep your company ticking along smoothly. It might seem like the boring one or the obvious one, but it’s also the most important one. It doesn’t matter if your business involves heavy machinery or laptops on a desk – it is vital that you get these rules right. A written policy with these rules explained will show employees that you take their safety seriously and will also protect you in the event of an accident. Without a clear policy, you could quickly find yourself in need of a good lawyer if an accident occurred because there was no policy to protect your staff or customers. If you are unsure what you need to consider for these policies, there is plenty of information to be found by your local health and safety governing body or contact a health and safety advisor. These should be a simple set of rules to make clear to your staff what they should and shouldn’t be doing. If it’s written in the policy handbook, there’s no excuse to be going wrong. It will also help new employees feel more comfortable if they have something to refer to, so they know what is expected of them. From the biggest firms to the smallest start-ups it’s necessary to have an employment policy so that the employer knows what to look for and what to expect. This should also include details regarding equal opportunity to prevent discrimination against any job applicants for any reason. Everything from holiday, sick leave, maternity/paternity leave all needs to be detailed in writing. Some of the policies will be mandatory as required by law, but it is still good to have these written up as well. This way everyone will know what they aren’t and are entitled to, as well as letting managers understand what they need to accept from their employees. Once you have the key policies written up you can move onto any others which are relevant and important to your company such as disciplinary policy, working hours, benefits, and perks, termination and company travel. Perfecting the writing style for your policy handbook is easy once you understand the key points to remember. It’s best practice to keep the handbook short and clear. Make sure that you aren’t using jargon either, some people may not understand it, and the idea of the policies is that everyone is clear. Use gender-neutral language – Your employees may not notice the gender of the language you are using, but it can backfire pretty strongly if you don’t make it gender-neutral. Instead of ‘she’ or ‘he,’ use ‘them,’ ‘their’ and similar, neutral words. You should also stay away from making the language too aggressive or full of words that appeal more to men. You want to reach your entire staff, so it’s best to stick with this. Use the active voice – Passive voice is generally boring and even makes some sentences harder to understand. Active voice makes everything more interesting and grabs attention. Use short sentences – Long sentences can be confusing, so it’s best to keep them short. Use bullet points, clear images, and charts – This makes the long text clearer and easier to comprehend. Keep it brief, plain and clear – It’s best not to over-complicate things. Keep it to the point; make it simple and understandable to every employee. By sticking to these points, you’ll be able to create an eligible policy guide which provides your staff with clear policies and their accompanying procedures. Every company needs policies even if you just have a couple of members of staff, or if you have a large corporation. This will help to protect you and your employees within the workplace. Before you roll out your policies company-wide it’s best to get a second opinion on them, make sure they are going to be clear to all members of staff and cover all the points you need. Well written policies ensure your company is happy, productive and safe. Creating great business policies can make a massive difference to your business. From employee safety to leave of absence and other details, everything has to be written properly and perfectly. Make sure that you have included everything that you wanted and that it’s well planned out. You should also keep it short and to the point to keep the attention of the readers. 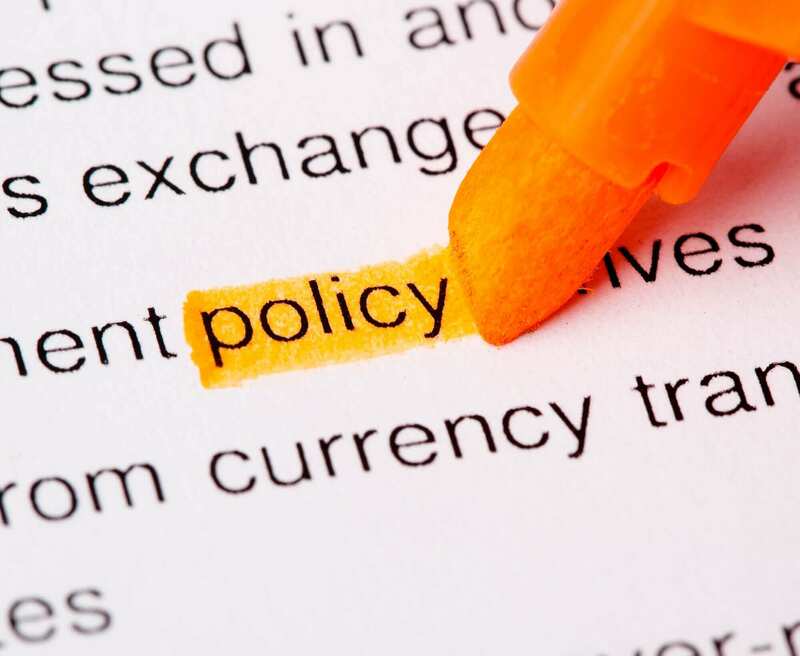 Follow some of these tips to create a perfect business policy for your business. Nora Mork is a business journalist at UK Writings and Boom Essays. She shares her experience by speaking at public events and writing posts for online magazines and blogs, such as Essay Roo.